A truckie captures an incident on his dashcam that could be a lesson to all of us. 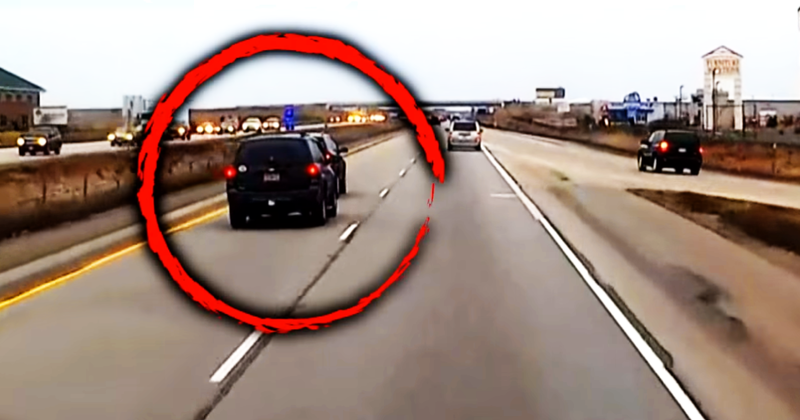 Keeping himself steadily in the right lane of a two-lane highway, the truck driver’s dashcam records the actions of two vehicles that unfolds just ahead of the truck, in the other lane. 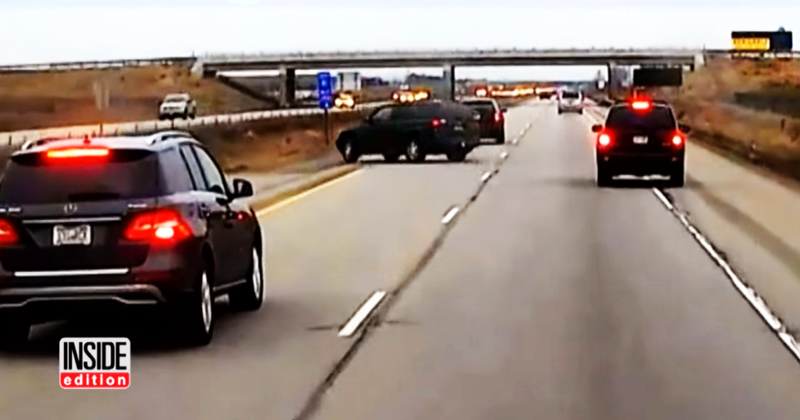 Two SUVs come into view, both traveling a little faster than the truck in the left lane. This lane is for overtaking slower vehicles, it should enable vehicles to pass if they wish to. However, the SUV in front was impeding the progress of the one following. Instead of moving over to allow the rear car to pass, which is common courtesy, the driver of the front vehicle remained in place. It is possible there was no clear opportunity for him to change lanes just at that moment since there were other vehicles merging into the right lane. However, what happens next is shocking. The driver of the rear SUV began tailgating the vehicle in front in an aggressive and dangerous manner. Perhaps they thought they could intimidate the front car into moving across to let them by. The driver of the SUV in front may have interpreted this action as bullying and stubbornly held their place. The next moment, the leading vehicle slammed on his brakes as clearly seen in the video by the tailgate lighting up. In the split second that followed, the tailgating driver responded with sudden braking and lost control of the vehicle. It left the road at high speed and crashed through the safety barrier along the center of the highway while the SUV in front sped off down the highway. Speeding drivers can all take a lesson from this video. If you care about highway courtesy share this video with your friends and see what they take away from it.